We were delighted that the Empire Cafe won an award for Exhibition Design at the Scottish Design Awards last night. 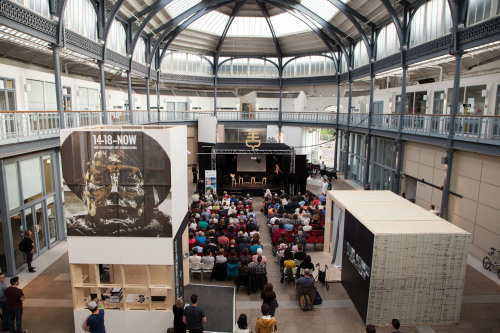 Initiated by Collective Architecture Director Jude Barber and writer Louise Welsh, the Empire Cafe was an exploration of Glasgow’s involvement in the slave trade through a series of events and installations. A big thank you to everyone involved in the project! Other projects nominated for a design award included The Cutty Sark, Great Western Mews, and St Andrews Crescent housing. We were pleased to see so many fantastic projects across Scotland being celebrated at the awards, congratulations to all the winners!